About 2.8 million students took a humanities course for credit at a community college in the fall of 2015 (the year for which data were collected). They accounted for approximately 40 percent of all community college students taking courses for credit that term. Over 1.7 million students took at least one course in English, and approximately 700,000 students took a history course. 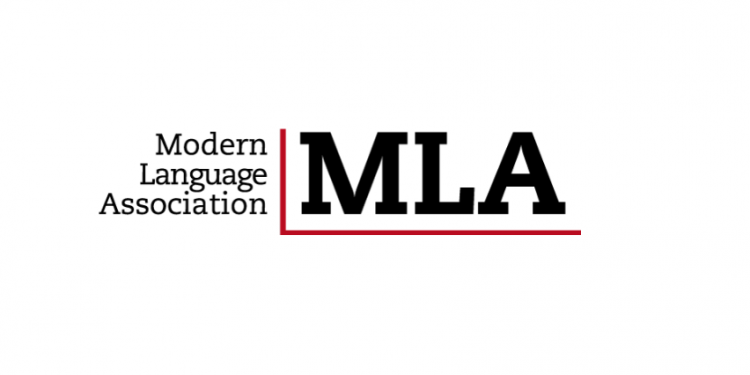 About 300,000 enrolled in courses in languages other than English. More than 255,000 community college students took a philosophy course. Additionally, between 400,000 and 450,000 students took a course in another humanities discipline or a survey course in the humanities. About 70,000 faculty members taught at least one college-level humanities course for credit at community colleges, accounting for approximately 20 percent of all community college faculty. The student-faculty ratio in the humanities is “substantially higher” than the ratio for community colleges generally. The student-faculty ratio for courses in the humanities was 40 to one, compared to 20 to one for all community college courses. Philosophy has the highest student-faculty ratio among the humanities disciplines examined, with about 50 students for each faculty member. The lowest ratio among the humanities disciplines, at 26 students per faculty member, was in foreign languages. High school students in dual enrollment programs made up about 10 percent of humanities students at community colleges. The study found regional differences in humanities course taking. About 35 percent of community college students are in the South, but they make up only 24 percent of those taking foreign languages. But they make up 45 percent of community college students studying history. Community college students in the West are less likely to be studying the humanities than are other community college students, but they are more likely to be studying languages other than English. 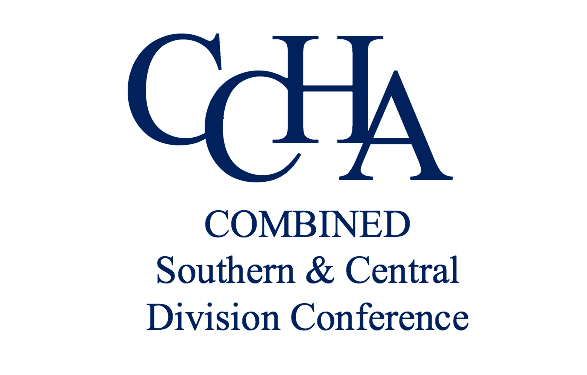 We like to think that everyone in CCHA is an ambassador for the humanities. I hope you will take the time to study the information in the report and make every effort to reach out to your administrators and local media to help create a clearer picture of the humanities in community colleges. *A copy of this report is available for download HERE. 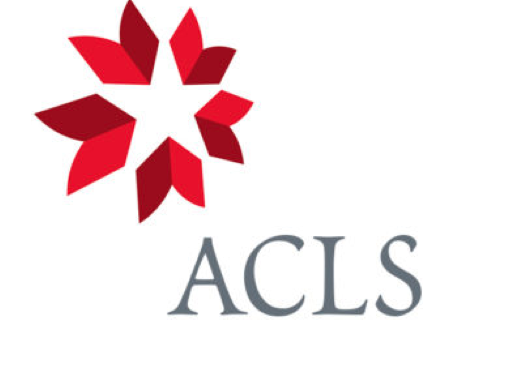 The American Council of Learned Societies (ACLS) has announced a truly wonderful opportunity for any recent PhDs. Their Mellon/ACLS Public Fellows Competition, which includes a large stipend and health insurance, is an opportunity that should definitely not be missed. More information can be found at the link HERE. Please be sure to take note of the coming Deadline: March 13th. 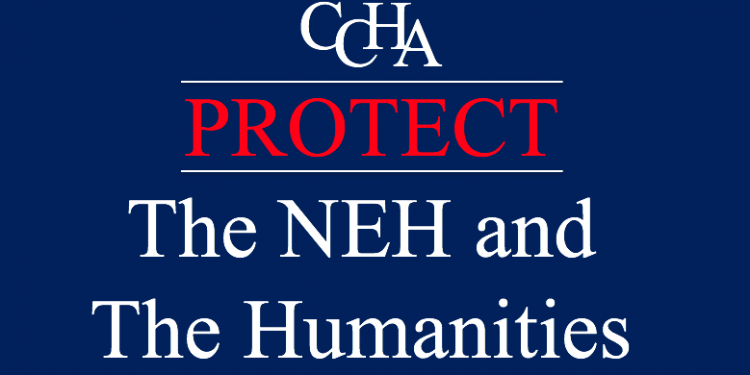 It is that time of year again, and, unfortunately, funding for the National Endowment for the Humanities (NEH) and the humanities as a whole is never guaranteed. 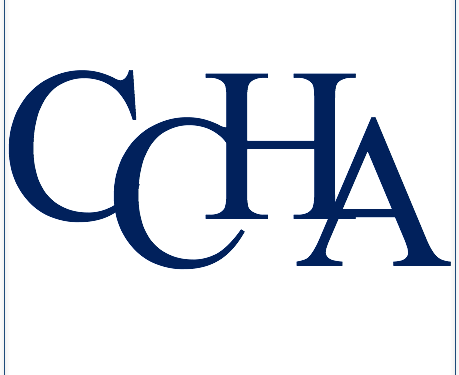 To that end, members of CCHA are invited to meet in Washington, DC, to take part in the Annual meeting of the National Humanities Alliance (NHA) on Monday, March 11th, followed by trips to Capitol Hill to advocate for the humanities on Tuesday, March 12th. More information can be found at the link to the NHA announcement HERE. If you cannot make it in person, we will b e sending out information on how you you can advocate digitally. Please do join us in advocating for this important cause and to help protect the humanities. The Council of American Overseas Research Centers (CAORC) will be hosting a seminar in Lahore, Pakistan, that is aimed toward community college faculty. “Religion and Culture in the Postcolonial City” will take place from June 8 – 22. The deadline for applications is February 18th. More information is available below. 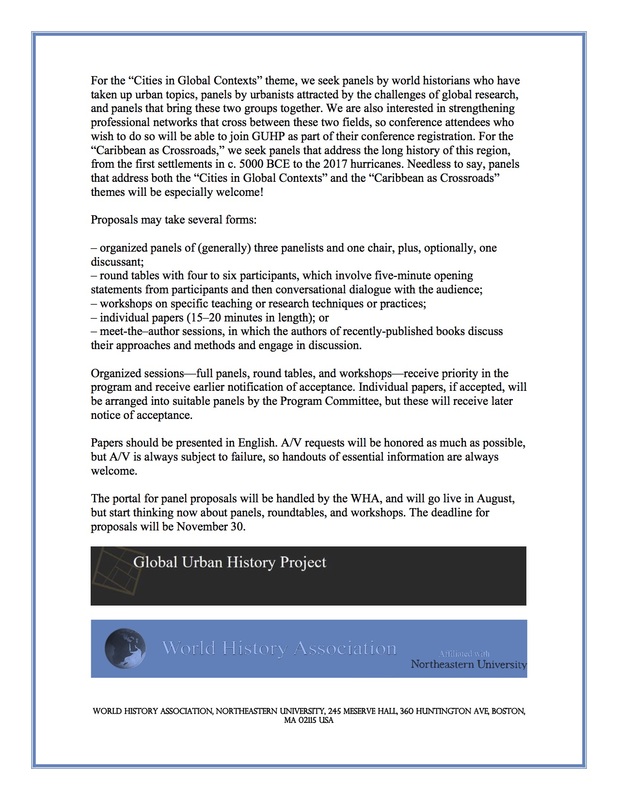 The call for papers has been released for the 28th Annual Conference of the World History Association, which will be organized jointly with the Global Urban History Project. 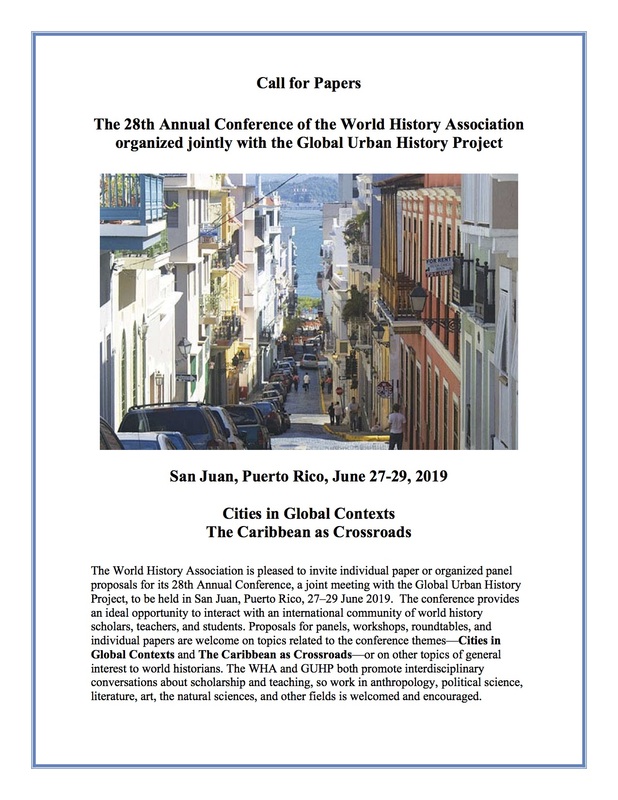 The conference will be held in San Juan, Puerto Rico, June 27-29, 2019. The deadline for proposals is November 30, 2018. For more information, see the attached below. 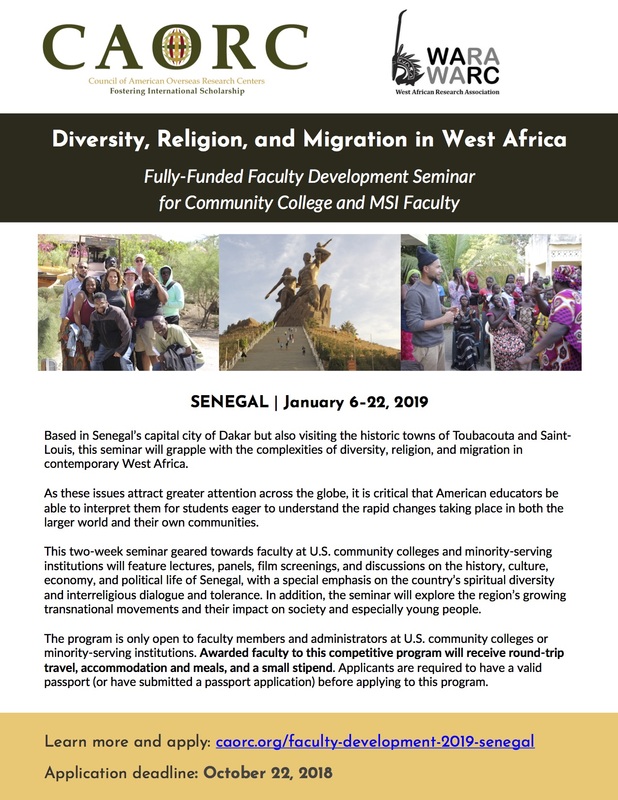 Council of American Overseas Research Centers (CAORC) is now accepting proposals for a two-week, fully-funded, community college faculty seminar in Senegal in January. The Teagle Foundation has launched two new funding initiatives: Education for American Civic Life and Pathways to the Liberal Arts. Along with its ongoing support for Liberal Arts and the Professions, the Teagle Foundation will review grant requests for all three initiatives on a rolling basis. 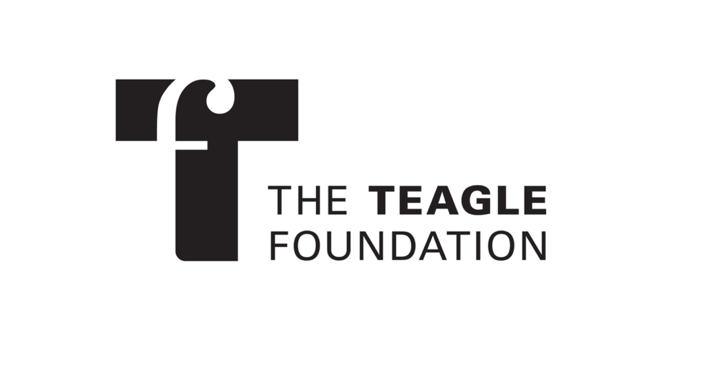 To be considered for a grant, please review the Teagle Foundation’s application guidelines and submit a brief 3-5 page concept paper to proposals@teagle.org. While concept papers are reviewed on a rolling basis, priority consideration will be given to those submitted by December 1, 2018. If you have questions about the RFPs, please contact Loni Bordoloi Pazich (bordoloi@teagle.org) or Desiree Vazquez Barlatt (desireev@teagle.org). *Note that the content for each is the same.